Sucrose acetate isobutyrate. 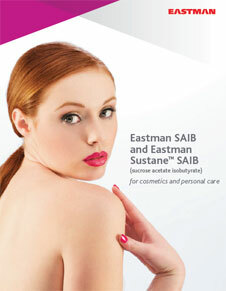 Eastman Sustane™ SAIB (Sucrose Acetate Isobutyrate), Food Grade, Kosher by Eastman acts as a fragrance fixative. It is produced by controlled esterification of natural sucrose with acetic acid and isobutyric anhydrides. 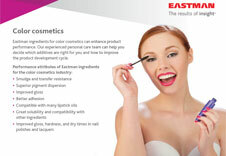 Provides transfer resistance in lipstick. 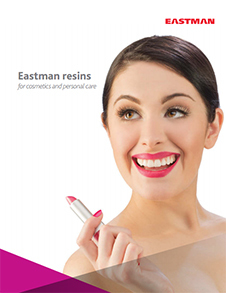 Eastman Sustane™ SAIB (Sucrose Acetate Isobutyrate), Food Grade, Kosher is also used in color cosmetics/skin care and hair care products. 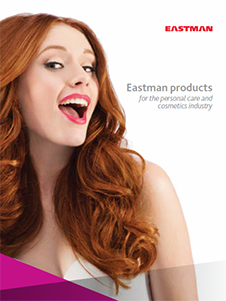 It is a Kosher certified product. Please note, these HSP values are estimations. It is based upon the “like seeks like” principle. It splits an ingredients interactions into three parameters; δD (Dispersion force interactions), δP (Polar forces interactions) and δH (Hydrogen bond force interactions). 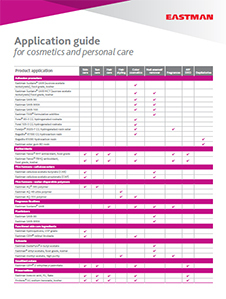 Hansen Solubility Parameters can help you find a wide range of products that are predicted to be compatible with Eastman Sustane™ SAIB (Sucrose Acetate Isobutyrate), Food Grade, Kosher. A practical determination of these HSP values would provide higher certainty. Learn More.